Although basement insulation isn’t always necessary, most homeowners gain several important benefits when they install it. 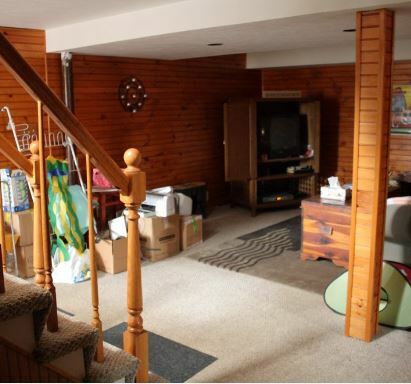 Read on to learn more about the benefits of insulation for your basement. Gaps, cracks and poorly insulated walls permit valuable warmth to escape from a home. As much as 50 percent of this heat loss can occur in basements, according to the International Association of Certified Home Inspectors. If you put insulation in your walls and ceiling in your basement, it will boost comfort and cut heating costs. And during the winter, uninsulated walls don’t just create uncomfortable conditions in your basement, they can also make the first floor unpleasantly cold. Ground moisture can enter the home through the foundation walls. Closed cel SPF foam sprayed onto the inside of a foundation can help to prevent moisture intrusion through the walls. If fiberglass is the choice for the exterior wall insulation, please ensure that the vapor barrier meets local code requirements. Depending on your location, you may need to insulate basement walls to comply with building codes. Minimum R-values vary from one region to the next. This rule still applies when people install heating equipment years after constructing their homes. If a basement lacks heat, you may need insulate the ceiling in order to comply with local codes. The appropriate type of basement insulation can cut maintenance costs, reduce heating expenses and raise a home’s value. To learn more, contact USI online to get a free quote. USI believes that excellence in every step of the process ensures timely completion and quality service, time after time.